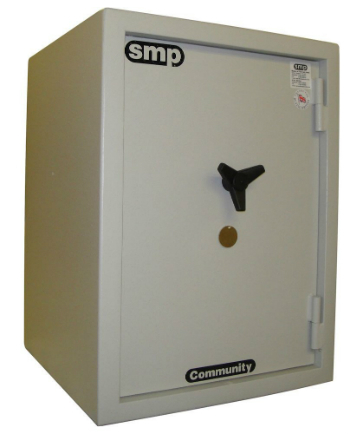 The SMP Community Grade Cash Safes are a popular choice and provide cash rating cover of £6,000 and also 60 minutes of fire protection. Suitable for commercial premises and business use – ideal to protect your cash and valuables from intruders. SMP safes can be customised with a number of extras including adjustable shelves, time delay locks, full and half width drawers, anti bandit coffer, lockable cupboards and various deposit systems – contact our security safe specialists for further assistance with this SMP Grade 0 Cash safe on 0117 9674994.